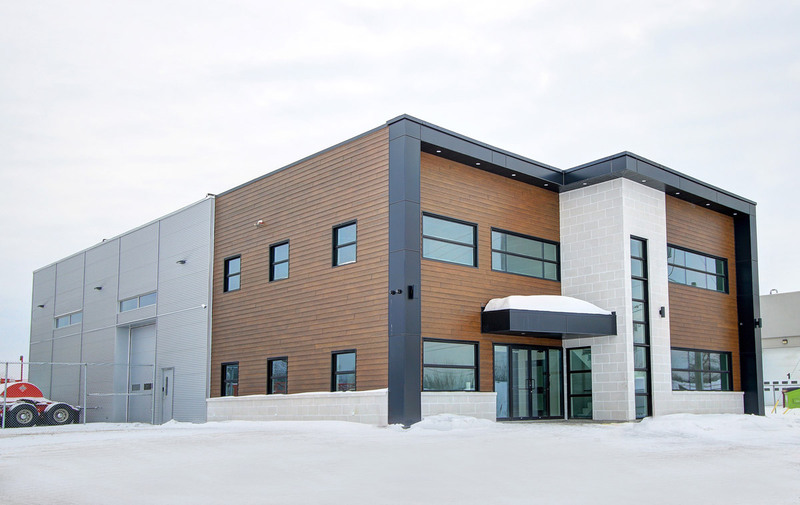 JENIK now welcomes you at its new head office, located at 4550 Raymond Bellemare Street, in Trois-Rivières, Canada. The construction have been done with the partnership of Béton Crête. The building’s contemporary look, adapted to the company’s current and future requirements, demonstrates its success year after year. The company continues to grow, and to meet the increasing demand. François Bellemare decided to invest on more efficient and lasting facilities. The garage section of the new plant was built with a concrete wall frame; the innovative building design is also a testimony to the company’s dedication to innovation.